Provide comfort for the family of Michele Gryka with a meaningful gesture of sympathy. 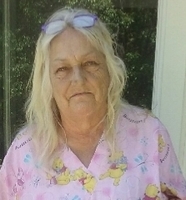 Ms. Michele Gryka, 65, of Garland, NC. departed this earthly life on Friday, January 4, 2019 at the UNC Medical Center at Chapel Hill. To send flowers in memory of Michele Ruth Gryka, please visit our Heartfelt Sympathies Store. Provide comfort for the family of Michele Ruth Gryka by sending flowers.